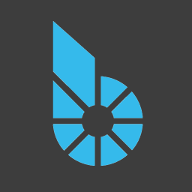 Bitshares has been running stably for more than three years, and has accumulated 110W+ accounts, 3k+ user issued assets (UIA), and 200 million+ historical account data. As a decentralized exchange, BTS has achieved great progress for its high performance, privacy and flexibility. However, there are still some drawbacks to overcome. After investigated the current BTS blockchain browsers and data analysis products, we found that it lacks of a tool to in-depth analyze and visualize asset data and account activity in BTS community. We cannot intuitively identify high-quality assets or understand certain behavior of an account, and so on. The on-chain historical data is like a gold mine waiting to be discovered. In addition, a customized export tool of full historical operation records is also very important for users. Users can back up their historical operation data locally. On the other hand, they can perform additional analysis and processing according to their own requirements. For traditional developers, a complete set of on-chain data query and statistical results API is crucial for BTS blockchain based development. However, the API implementation schemes in the community are different such that there is no uniform standard. Moreover, the existing API solution does not collect the transaction data of CEX and DEX for overall analysis. To solve the above questions, we propose this worker to do our contributions for BTS community. 1) Clear visual requirements. According to our understanding, more than ten visualization requirements have been listed to meet user requirements. 2) A rich and practical API that covers the traditional and all visualization requirements as well as meet deeper, customized data query needs. 3) Data visualization Demo. Part of the Demo will be implemented for data visualization based on the above API. 4) Open source code. The API and Demo source code involved in the worker will open to the outside world using the MIT protocol, which is convenient for the community to improve it further. Questionnaires will be launched on multiple sources such as WeChat, Forum, and Telegram. The requirements of BTS users for data visualization will be widely collected and analyzed for their rationality (see “User Demand Analysis” for current collections). a) Choose a proper data storage solution. Choose the good data solution for the specific visualization requirements, including but not limited to ES Plugin, PostgreSQL for partial data support. b) Design an external data collection scheme. The corresponding data collection method will be deployed according to different CEX. We will normalize the data before storage from different sources. 3. Design and implement the API. In the above figure, we hope to show the daily trading volume of BTSs on different exchanges by the stacked histogram. Ordinary users can analyze the daily trading volume at each CEXs and DEX. The whole trading volume is shown as well. The above figure can show the relationship between number of transactions and time. 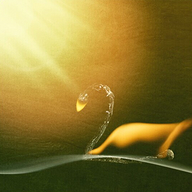 It implies the daily trading activeness in each exchange, which is beneficial for ordinary users. Users can select exchange based on this chart. This figure is very helpful to analyze trading habits of different exchange users. As shown in the above figure, the BTS price comparison of different exchanges can indicate user habits and lowest price, which is beneficial for ordinary users. We will combine the market depth on major CEXs and DEX, so that it is easy to show the total depth of the current BTS market. Large value order may be benefited from this figure. Trading analysis can be done according to this figure as well. The above chart will show the user's debt sentiment. Furthermore, the supply of other smart assets (such as bitCNY and bitUSD) will impact the voting and strategy from BTS community. The comparison with historical data is very useful on sell/buy decision. 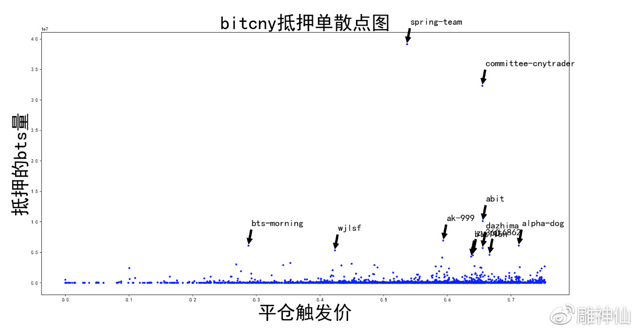 Scatter chart of BitCNY, BitUSD's call price vs. number of debted BTS can show the community’s debt sentiment. It also relates to the voting and strategy from BTS community. The number of active addresses reflects the trading enthusiasm of the DEX user. It also reflects whether current prices are acceptable. The number of position addresses and the number of new address are important indicators as well . Positions are a very important indicator of asset distribution, and centralized assets are risky to trade. We will implement the rank of position address and account operation analysis as well. 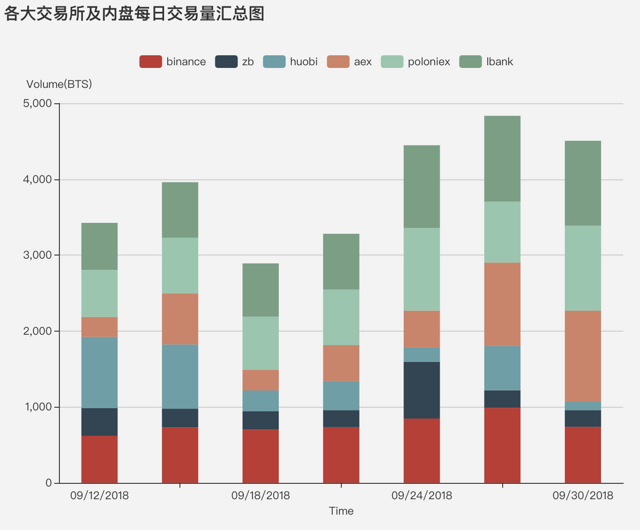 We well show the number of bitCNY, the debt number of bts, average number of bts vs bitCNY and median of bts vs bitCNY. Based on historical transaction information, find a list of accounts that are most active in interacting with an account, including but not limited to transfer operations, registration operations, etc. Statistical analysis of the account transaction type, it can effectively show the operating habits of the account. According to the amount of pending orders/volume, it can be inferred whether the account is an automatic trading robot. Analysis the position of account assets, one can see the user's preference of this assert. We are going to import CEX data, and then analysis according to these aspects. Analyze the number of transactions in a period of time, an account list will be shown according to the trading volume. There is almost no visual monitoring on the witness's feeding price. However, the feeding price is an extremely important part of the BTS economic system. It plays a critical role on smart asserts. We plan to visualize the feeding price of each witness and the average feeding price as a reference. Update speed of witness feed price is a necessary reference for users, we plan to display this data as a field on the page. The reliability and stability of the access point can be seen from its availability analysis. There are many different types of user operation records on chain, such as pending orders, transaction matching, transfer, voting, and so on. Some users want to get historical transaction records based on time intervals, transaction pairs, transaction types and other keywords, and provide transaction data export functions to facilitate backup or analysis through other software such as Excel. Based on the data export, user can perform better transaction analysis based on the BTS transaction data. Including, the overview of the transaction within a certain period of time; the average transaction price of an account on one assert; the profit and loss analysis of an account. We will add some other functions according to comments from the community. All above underlying data will be supported by our open-source project. The above functions may be modified as community comments and development progress. We have been a mature team; the major developers own a lot of experience on website development. We will hire more developers in the future to speed up the development. The updated plan will start on December 5, 2018. It will last for about 4 months and end on April 5, 2019. Developers will start work as soon as possible from December 5st. Each of the functions listed above will be tested before online. Production report will be published every month. The development progress will be announced on the website every week. If the function is stable, we will update the bts.ai webpage online immediately. It is expected that the development will be on schedule, but there may be a delay during development due to force majeure and inscrutability. If it happens, we will announce the reason on the website and then re-estimate developing period. The workload of this project is very large. There is a lot of data to be sorted out, but we are well prepared for it. We ask to be funded according to the following table. 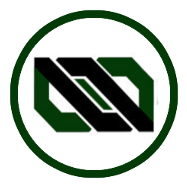 Our received fund will be hosted in the datasolution-worker-escrow account, which will be 2/3 signed by @bitcrab @jademont @abit. The escrow account will exchange the received BTS into bitCNY and return all excess BTS to the pool, as explained in http://www.bitshares.foundation/worker/ (Under Escrow Worker Model). In case BTS price below 0.3 bitCNY/BTS, we ask for 20000 BTS per day. All excess BTS will return to the pool. Because the software development can only be estimated beforehand, our team will also face some risks as well. The multi-signed escrow takes response for evaluating the quality of the released software. All payments will be open and transparent. We seriously discussed and rethough this proposal, and finally decided to propose a new one. Our main purpose is to "visualize" and to analyze the data on the chain without being entangled in the underlying implementation. In the new solution, we will take the ES solution as first choice to obtain the data on chain. In some special cases, we will consider using PostgreSQL to supplement it. I find it strange that you list this investigation as part of the tasks you're going to fulfill, yet at the same time you list all the tasks needed to fulfill these requirements *and* you're able to put a price tag on it. Is there a plan for a bounty process as in the core and UI proposal, so external freelancers can help you? The tasks listed above is just a part of our job. Our team prepared some of the requirements in advance. Maybe investigation should be the first step to implement this project. No price on investigation ， shown in Fund Part . Thanks for your suggestion. We are a mature team that able to handle these tasks . Will this be a website, app or a BTS UI dev proposal? A dev proposal but not for BTS UI. Would like to see some evidence of open source work already for this for us to consider a vote. I appreciate the effort from bts.ai team, but I will not support this worker. In my opinion, the tasks of this work don't have a clear definication, it's more likely to be a long period hobby project, and get fund from witness pay or bounty. Another suggest personally, I think this work should be delay until we have a good plugin to storage custom blockchain data to a general database service. Thanks for your time. It's our pleasure to have your feedbacks. 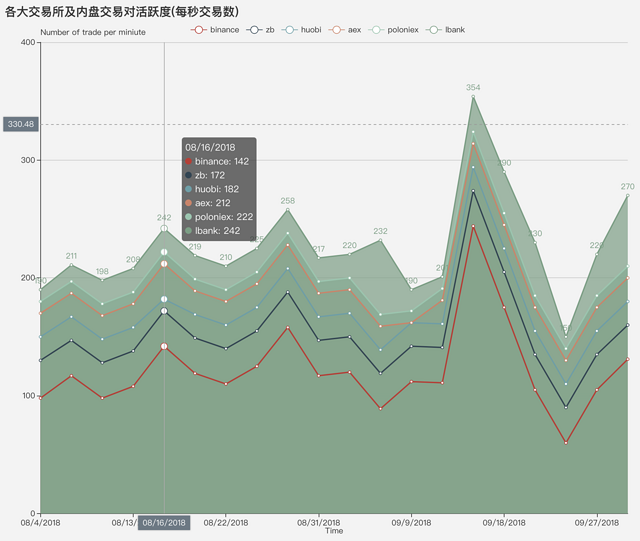 We have published questionnaires using Chinese/English to collect data visualization requirements, the results show that the community generally recognizes the need for data visualization. 98 community members participated. The survey results show that the community has a strong demand for BTS data visualization. Any comments or suggestions, please feel free to give us feedback. It's our pleasure to have your feedbacks. To get an idea of the reach, how many did participate?